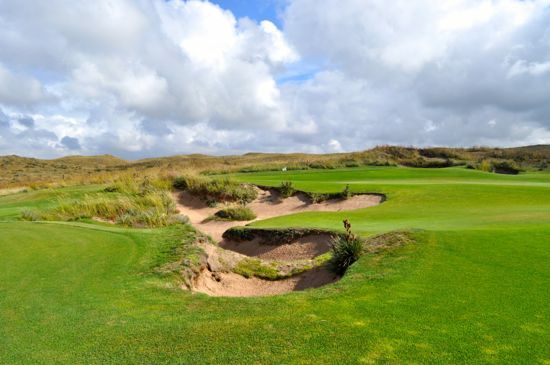 Beyond the local municipal courses, the well-known tour stops, and the typical tourist attraction courses – there’s a wonderful world of incredible off-the-beaten-track courses that exist among the whispers of the deeply dedicated traveling golfers. 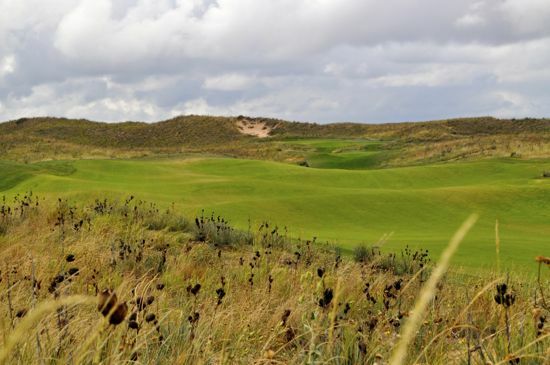 These courses are well-known in the golf architecture community, but are typically unknown to the wider population of golfers. These are the courses that tend to exists hours off the beaten path and require a dedicated level of coordination, dedication, and networking to find and gain access to. For those that choose to devote themselves to finding these clubs and making the sometimes treacherous trek to play them, it’s almost as if a whole new plane of golf consciousness is revealed. This is the world of the dedicated walking golfers, the places where you tend to hear familiar voices and see familiar faces. These are the places that tend to consume your thoughts for years after you leave them and stay vividly in your memories for a lifetime. 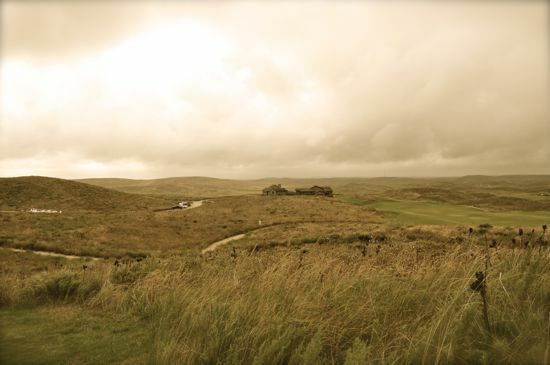 Ballyneal is one of these places. My visit to Ballyneal has been a long time coming. 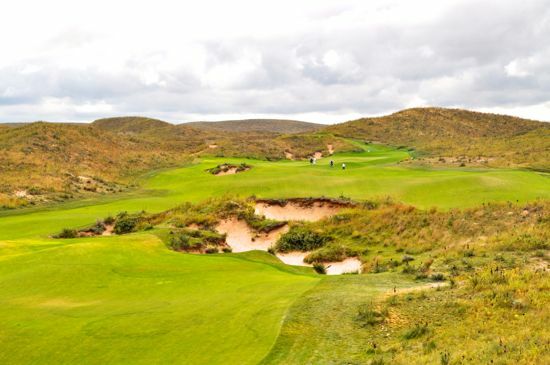 I don’t remember the first time I heard about Ballyneal, but I’ve contemplated visiting the course for quite some time now. 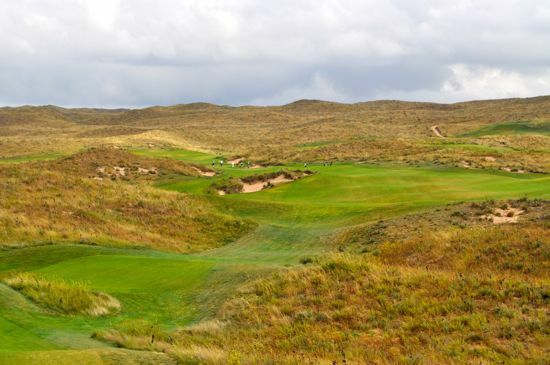 After discussing the course with a few members over the past few years, seeing various pictures here and there, and following the course for quite a while – I made the decision that it was time to make my first trek out to visit the course. 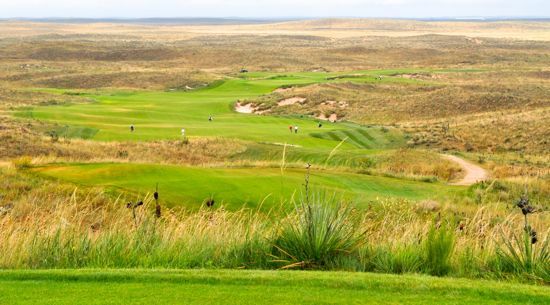 Ballyneal isn’t a resort that you stop by when you’re in town – unless you happen to be buying grain in bulk. There’s not a whole lot in the nearby towns with the exception of a minimal infrastructure to support the dominant farming industry. 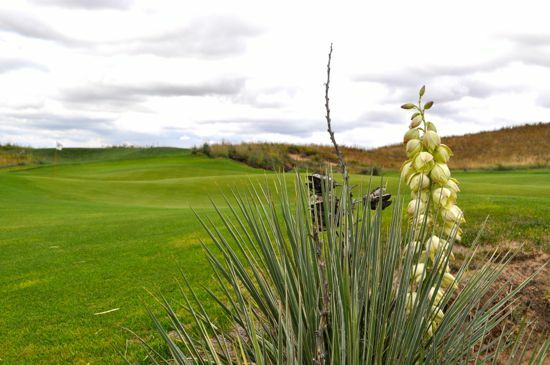 The closest town to Ballyneal is Holyoke, CO with a bustling population of just over 2,000 residents. 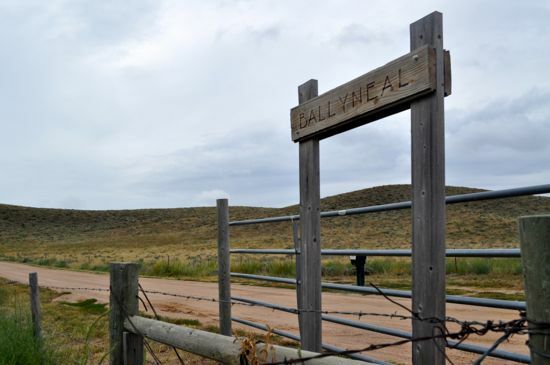 The county that Ballyneal is located in averages around 2 houses per square mile. This is farmland. Just getting to the club is an exhilarating exercise of way finding. After a few failed attempts with the GPS, I finally switched over to the satellite view on my phone and navigated the dirt roads that led me to the resort and the tiny sign and gate that leads to the facilities. I’ve come to realize that when your GPS says “you have arrived” and all you see is farm country, then you’re about 30 minutes of traversing your way into one hell of an experience. As I walked up to the pro shop I was immediately greeted by name by my caddie Nick. I could only see one group in the distance and it was obvious that the majority of the course would be open. Any worries of slow play and five-plus hour rounds were left back in Denver. 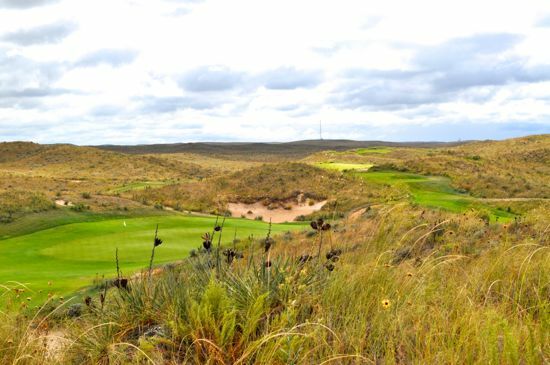 While Ballyneal is private, the majority of members are either national members or periodically make their way up from Denver and surrounding areas (a 3 to 4 hour drive for most). Throughout the day I saw a total of five or six groups on the course and at the facilities. It’s also worth noting that two groups (one twosome and one single) had their dogs with them and one group was a sixsome. Ballyneal isn’t about carts (it’s walking only), or rules (no slope rating, no tee markers, no out-of-bounds), formalities (my tee time was noted as 8-ish), or excess (no yardage markers, no hole identification) – it’s about the experience of playing golf in a natural and beautiful setting. 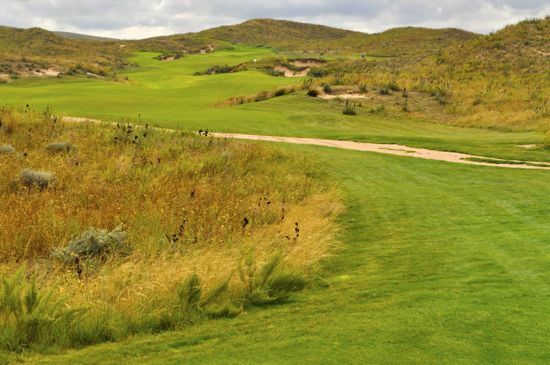 The chop hills around Ballyneal are naturally suited for a golf course. 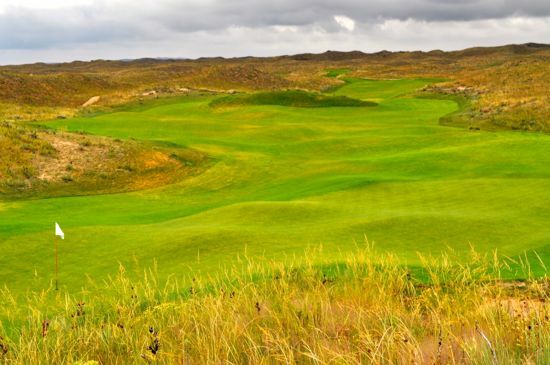 As you near the course you can’t help but notice that the land looks ideal for a links-inspired minimalist golf course. 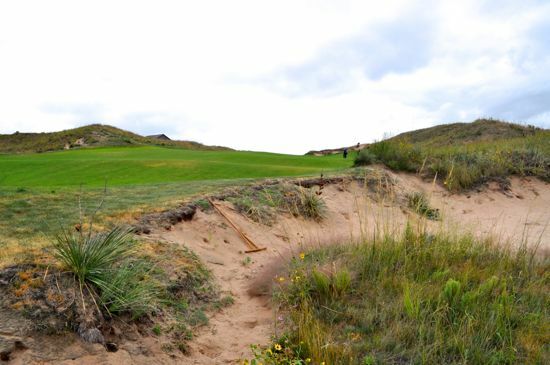 The land that Ballyneal sits on is beautiful in a way that only a natural setting can provide. 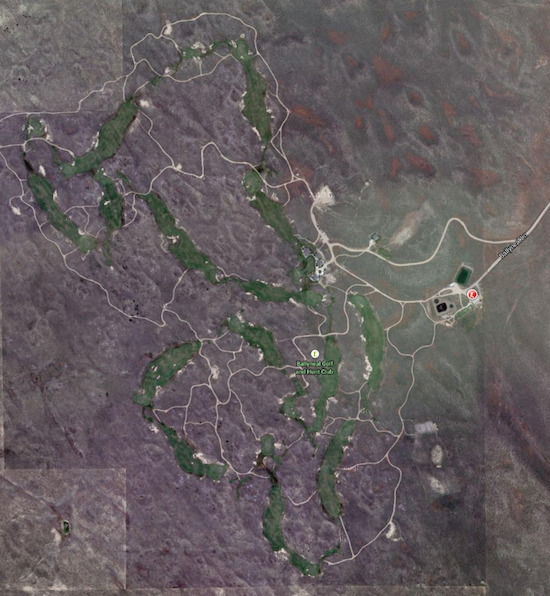 Very little earth was moved to shape the course and it’s clear that Tom Doak found the holes on the course instead of creating them. The natural terrain led to a beautiful layout with the potential for alternative routings throughout the property. While you’re walking the course you can’t help but notice how you could easily mix and match tee boxes with fairways across holes. 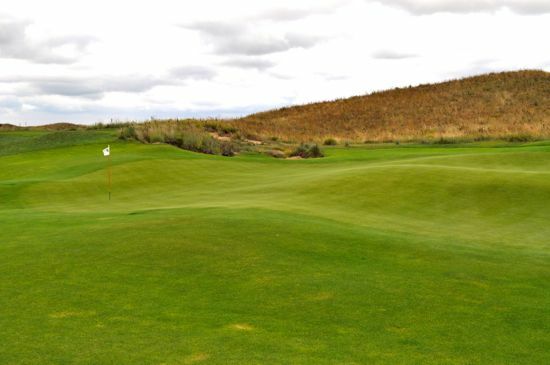 The minimalist nature of the golf courses has resulted in an extremely fun course to play. 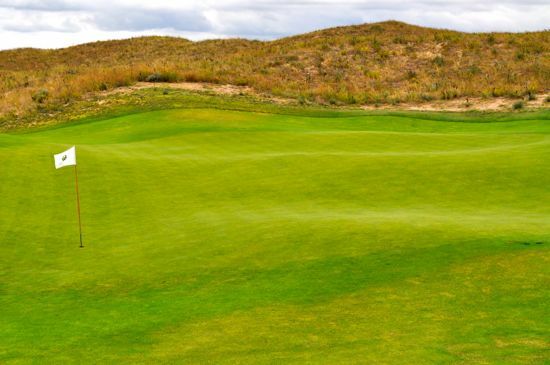 The natural undulations, bunkering, fast-and-firm fescue, and native plants and grasses make the course much more interesting than any course I’ve ever seen. 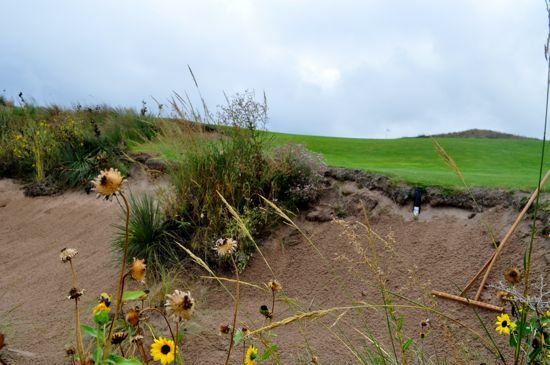 There are a variety of ways to approach each hole and there are abundant opportunities to play the ground-game instead of attacking every shot from the air. 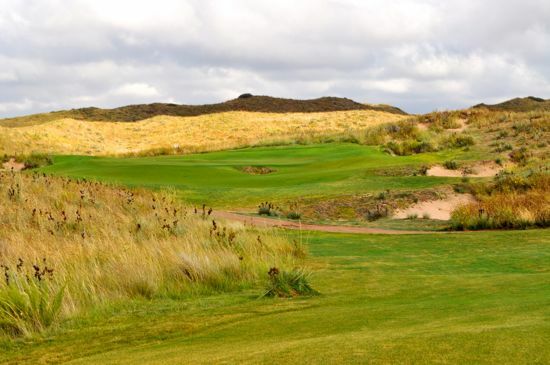 I had read plenty of posts and reviews about Ballyneal and had quite a few conversations before showing up for the first time to play. Even with a bit of local-knowledge sent my way, I was still absolutely fascinated by the greens throughout the course. The movement in the greens and the positions of the pins is nothing short of magical. Nick helped me tremendously with reads that I would have never seen or noticed without the help of a local caddie. Watching the ball move along the rhythm of the undulations in the green complexes is like nothing I’ve ever seen or experienced before. I’ve taken thousands of pictures of golf courses over the past few years and I’ve never run across as hard to photograph as Ballyneal. 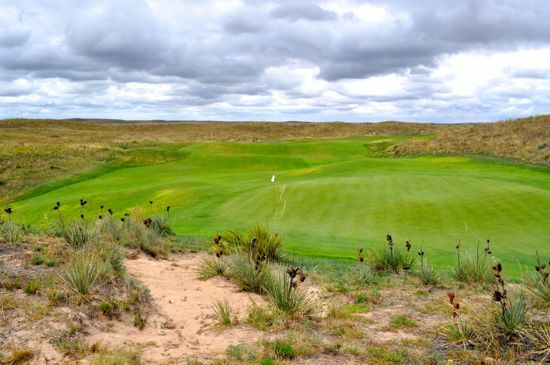 While I certainly grabbed many beautiful pictures of Ballyneal, it’s worth noting that the pictures don’t come close to displaying the true beauty of the course and surroundings. 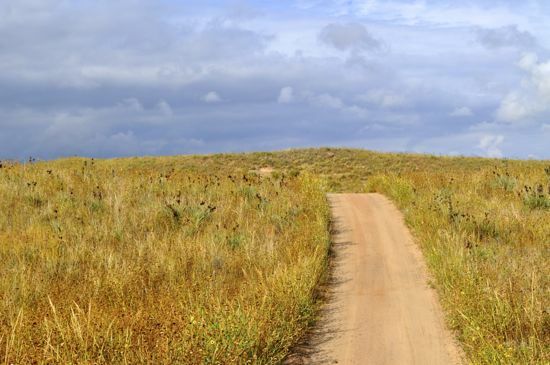 The movement of the land is hard to capture in a picture and the scale is hard to judge due to the remoteness and all-around visual tranquility of the area. 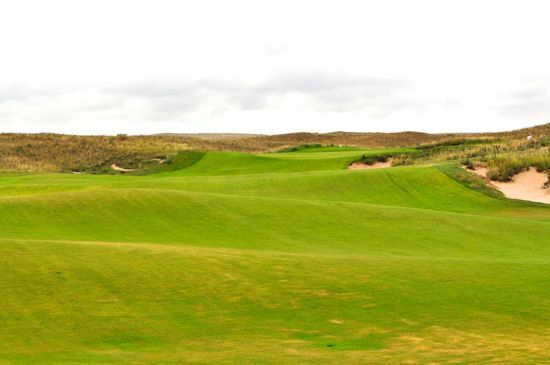 Part of the genius of the architecture at Ballyneal are the visual illusions that appear throughout the course. While some passages will appear narrow or precise – you are often greeted with many happy outcomes that you wouldn’t expect. 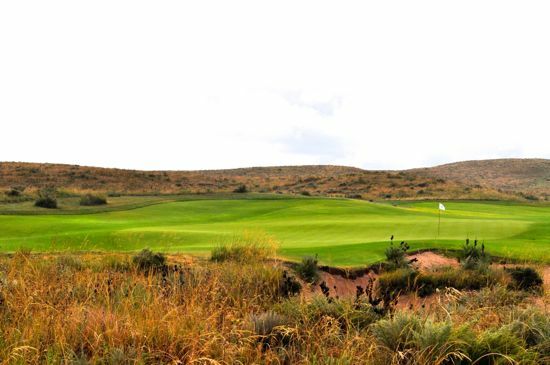 Ballyneal has recently been recognized and given the credit it’s due by many of the major publications. 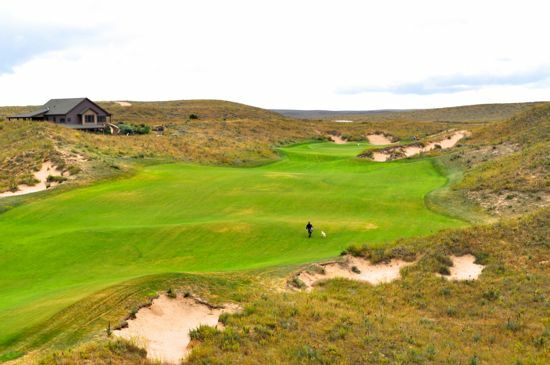 If there was a category that rated the courses with the greatest all-around experience and overall adventure – then I’d be willing to bet that Ballyneal would sit near the top of that list. Ballyneal is a special place. If you ever have the opportunity to visit the course then I’d recommend that you don’t pass it up. 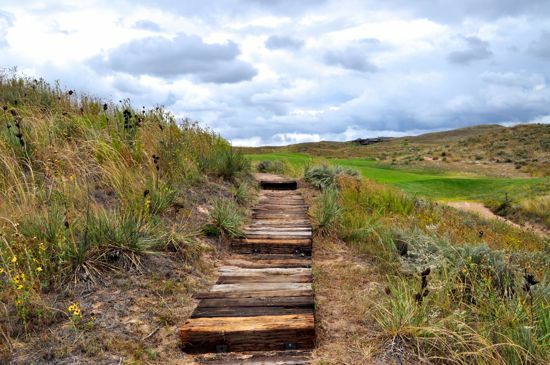 Ballyneal is an adventure that you’ll never forget. I just spent three days and 72 holes worth of Ballyneal with 15 other golfing gents and experienced all kinds of weather patterns, every bounce and break known to science and the magic just builds upon you the longer you are there the more it literally becomes that much more natural as you so aptly describe. I saw great golf played so it is very fair and horrible golf played as it literally devours and spits out poor shots but again rewards good ones. 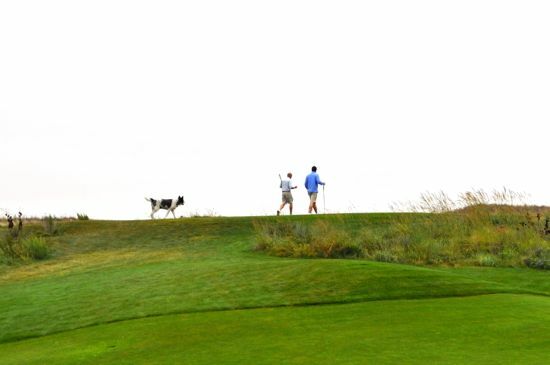 The people attending to your needs are as sold on all things Ballyneal, Holyoke, Wray, great service, wonderful food, amped up adult beverages and nearby cattle just staring at you; yes all happy, all making the experience even that much better.